Hans Zimmer has been unfairly criticized for his bombastic style, recycled themes and arrangements, and the lack of subtlety in his compositions, particularly for most of his scores in the post-Gladiator period. It was a change in direction for him as he strove for a more blockbuster-ish sound, or what I would call ‘the Zimmer modus operandi’ best characterized by his scores for the ‘Pirates of the Caribbean’ movies and those of Christopher Nolan. In this regard, Zimmer’s work for Edward Zwick’s underrated 2003 samurai action drama The Last Samurai can be seen as not just part and parcel of his modus operandi, but also his use of traditional Japanese instruments like the koto, shakuhachi and taiko drums allows the score to be imbued with a sense of cultural specificity. 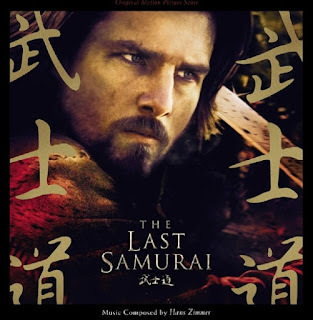 I would compare it with how John Williams similarly did so with his score for Memoirs of a Geisha in 2005. Williams’ score was truly brilliant, one of his greatest, and in my opinion, a class higher than Zimmer’s work here. But in tracks such as ‘A Way of Life’, ‘A Hard Teacher’, ‘Idyll’s End’ and ‘Safe Passage’, Zimmer shows that he could also do warm and tender arrangements of the main melodies. The album is a mix of such subtlety and loud, invigorating sounds. Tracks such as ‘Spectres in the Fog’, ‘Ronin’ and ‘Red Warrior’ set the mood for violent, heroic battles. I remembered seeing the film when I was younger and didn’t know much about cinema or who Hans Zimmer was, but I somehow recalled being affected by the beauty of the music. 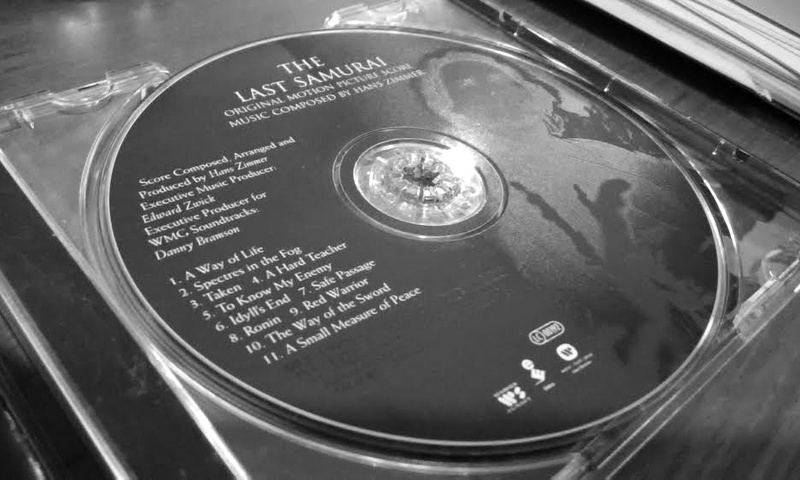 Now that I have the album CD, I am happy to continue listening to the score from time to time. ‘A Way of Life’ – starts the album with a slow, peaceful arrangement. The strings become lusher, and the track ends on a high with a cue that acts as a prelude of what is to come – violence, action, and themes of loyalty and courage. Sets the mood of the entire score perfectly with a buffet spread of most of the melodies that would be used again. This might be the best track of the album. ‘To Know My Enemy’ – a piece with haunting voice work that gives way to a standout solo taiko drum and shakuhachi part that evokes tension of an ambush. ‘Safe Passage’ – this is my favourite track. This strings-heavy piece with drums and brass builds up to a familiar melody. The track ends off with the score’s most beautiful segment (only played twice in the whole score), an arrangement with koto that was used at the start of ‘Spectres in the Fog’. Decent and well-recorded, though slightly inconsistent in the level of volume mixing, with the later tracks #9 and #10 being louder sounding at an unchanged volume level. Overall, the CD is pretty good.